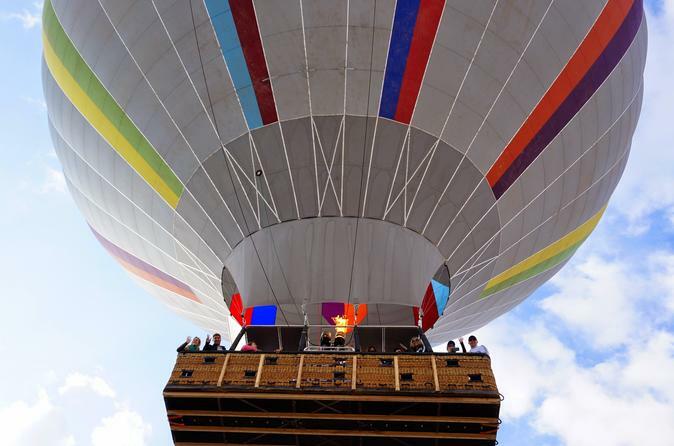 Just north of Phoenix, enjoy a 45-minute hot air balloon ride over the Sonoran Desert. Once you arrive, watch as your balloon inflates. After your flight, relax with a champagne breakfast served on picnic tables with linens. Rides are shared with up to 20 travelers on board. This activity does take up to 4 hours.